Don’t get me wrong, I am not complaining about having a lovely warm summer…that would be exceptionally British and silly of me! I like the warmth, I like the sunshine, I like not freezing! All I am saying, is I should probably check the weather before choosing to go for a run at almost the hottest part of the day… I am not blaming the weather, this one was my own fault. Nevertheless, hot or not, I ran. I reverted to the first running app as it has shorter overall runs but longer run intervals and less rest… this made it hard work. 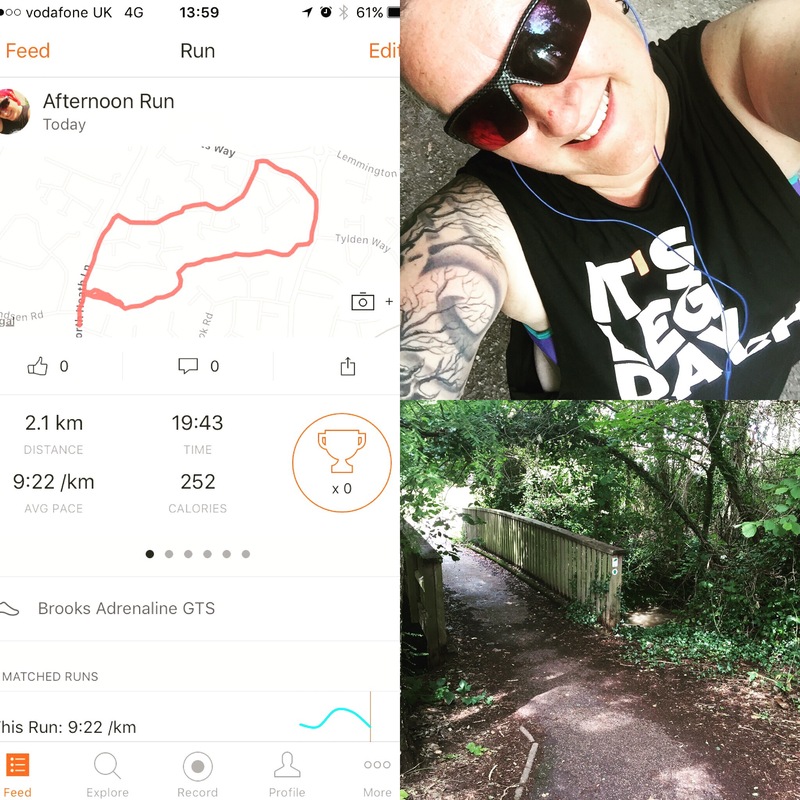 I more or less managed the 3 min run intervals but struggled with the 5 min intervals…I didn’t give up but I did have to take some short walk breaks in them. You may be right there is a good chance I am not responsible for the weather… it is quite a lot of responsibility to be honest! Wriggly is the best direction! !